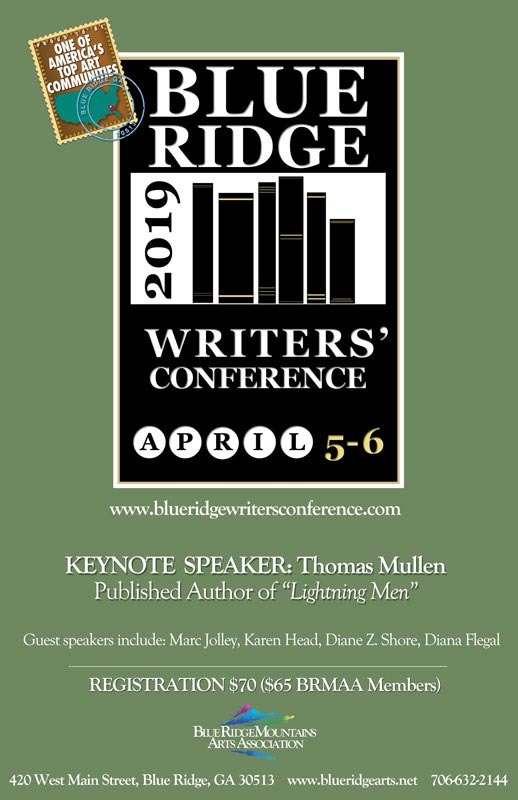 The Blue Ridge Writers' Conference mission is to educate, inform and inspire writers. In 2019, we are proud to host L.A. Times Book Prize winning writer Thomas Mullen. During the conference, writers will network with fellow writers, expand their knowledge base and learn to hone their skills in various breakout sessions. The 22nd annual conference begins with a Workshop Intensive held on Friday, April 5 from 10:30am-2:30pm and a Writers' Meet and Greet will take place Friday evening at 5pm. Writers' Conference sessions begin Saturday, April 6th from 9am-4pm.� Books sales from our conference speakers and member writers will also be made available throughout conference events.